At 10:13 a.m. on March 3, 1944, it was reported that an aircraft had crashed into the water at the entrance to Woods Hole Harbor, about halfway between Nonamessett Island and Juniper Point. The plane had been seen circling low in the sky when it suddenly “pancaked” into the water. Observers on shore stated it appeared to be a navy plane with two men inside. However, the first boats on the scene recovered an army fliers hat and some paperwork from Otis Field in Falmouth. It was later announced by the Navy public relations office in Newport, R.I. that the aircraft did not belong to the navy, and the Camp Edwards office on Cape Cod stated none of their coastal patrol aircraft were unaccounted for. Boston naval officials also reported that none of their aircraft were missing. The plane was determined to be a U.S. Army RA-24B Banshee, (42-54555) piloted by 2nd Lt. Joseph H. Gardner, 29, of Sierra Blanc, Texas. Gardner had been on a training flight from Otis Filed to practice stalls and spins. Confusion over the plane’s branch of service was cleared up when it was explained that the RA-24B was the army’s version of the U.S. Navy SBD Dauntless dive bomber. Lawrence Webster, Aviation Historian and Archeologist. 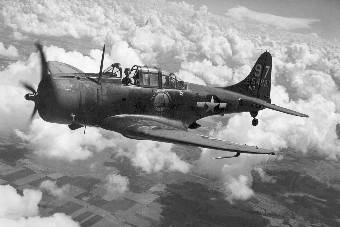 On August 17, 1945, Ensign Daniel Ware Goldman, 24, took off from Otis Field in Falmouth in a navy fighter aircraft. He had no sooner had he taken off when he radioed that he needed to make an emergency landing. His altitude at the time was about 200 feet, and when he turned to approach the runway his aircraft went into a dive and crashed into a wooded area about a mile from the field. Ensign Goldman had no chance to bail out and was killed in the wreck. Ensign Goldman had been at Otis since May of 1945 training for carrier duty on the new aircraft carrier, U.S.S. Midway. His body was brought to Quonset Naval Air Station in North Kingstown, Rhode Island before being sent to Arlington National cemetery for burial. According to a Cape Cod Standard Times article, this accident occurred in the neighboring town of Mashpee. Cape Cod Standard Times, “Otis Field Pilot Dies In Mashpee Crackup”, August 18, 1945, page 1. 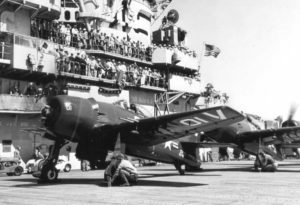 On May 31, 1949, a group of U.S. Navy F-8F Bearcats left Quonset Point Naval Air Station in Rhode Island, bound for Otis Air Force Base in Falmouth, to take part in a rocket firing training exercise. As the planes approached Otis, one of them suddenly dropped out of formation and crashed in a rotary traffic circle near the 33rd Fighter Wing Headquarters. The pilot was identified as Lieut. (j.g.) Ronald J. Whitting of Bergenfield, New Jersey.